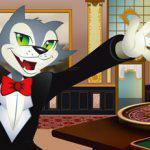 The Buzz on June Bonuses at Cool Cat Casino! As the newness of spring begins to melt into the hot days of summer, the busy bees are buzzing from one totally awesome bonus to another. 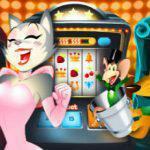 Cool Cat Casino is a honey-dripping hive filled to bursting with the sweetest monthly bonus promotions online. Grab your honey dipper and check out these delectable buzz-worthy bonuses. 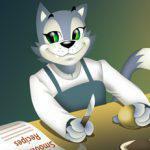 Cool Cat Casino members are more than just worker bees, they are the heart and soul of the whole online casino colony. That’s why we are offering our members these humble-bumble bonuses. For a whopping 560% bonus on our slots and keno games, just fly on by, deposit a honey-reffic $70 or more, enter the code: THEBUZZ560, and dip your stinger into a pot of sweet money. To get your fluttering wings on a sticky pile of our 310% bonus, all you killer bees need to do is deposit $30 or more into the hive bank, enter the code: THEBUZZ310 and watch as the money drips freely as you play any of our sticky sweet online casino games. The least sticky of our buzzing bonuses is our 160% bonus. While this bonus isn’t as high up in the hive as the other two, it still overs a killer percentage for any bee wins on any of our games, except Blackjack. To get your antennae on this bonus, all you have to do is deposit $30 and enter the code: THEBUZZ160. If you aren’t sick of the sweet sticky stuff, you’ll love our Honey to the Bee Challenge which includes a 150% bonus when you play our featured slot game. 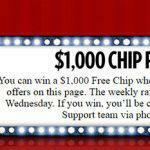 When you play, not only do you get a bonus on your winnings, but you also get entered to win a chance at a free $7,000 casino chip. To play just deposit $50 or more, and enter the code: HONEYBEE150. WAIT! That isn’t our only golden honey delight this month; we are also offering an additional 100% bonus to members who deposit $200 or more. This offer is good with any of this month’s promotion codes. 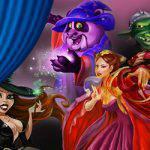 Cool Cat Casino’s Queen Bee VIPs have the best honey hole in the hive with these amazingly divine bonuses. Place your golden crown on your queenly head and indulge in our 630% bonus which is good on any of our slots and keno games. When you deposit $70 or more, and enter the code: VIPBUZZ630, you get access to the richest honey on the planet. Our 380% bonus is just as sweet and gooey as the real honey deal. To get sticky with it on any of our online casino games, all you have to do is deposit a menial $30, and enter the code: VIPBUZZ380. 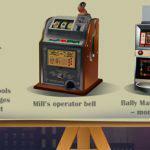 The last of our buzz-worthy bonuses is our 230% bonus; good on all games except the notorious Blackjack. To play and win with this bonus you need only deposit $30 and enter the code: VIPBUZZ230. To learn more about this month’s deliciously sticky, naturally sweet honeyed bonuses, visit the monthly promotions page at CoolCat-Casino.com.